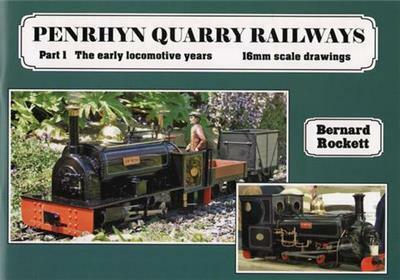 16mm scale drawings of locomotives and rolling stock from Bernard Rockett, this time of the 2’ gauge Penrhyn Railway, a large concern which had a large number of locomotives at work in its quarry, on its mainline and at its docks. This volume covers the twenty-eight engines purchased new between 1875 and 1909, together with associated rolling stock, and is a tremendous reference source. 48 landscape A4 format pages, full of drawings, archive and model photographs. Softcover.